With codeREADr, you can export a database to QR code images, suitable for scanning on electronic displays or print. But how do you get those images to your customers? If you have MS Office 2007 or later, it’s easy to include the images we export in an email marketing message (aka a “qr code mail merge”). 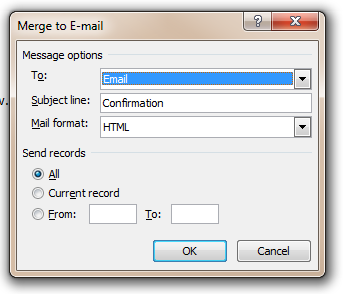 Microsoft Outlook must be configured with a valid email account to successfully execute a QR code mail merge. First, you’ll need to log on to codeREADr or sign up for an account. Once you’re signed in, click the “Databases” tab in the site header. You’ll see a button to create a new database on the right side of the page – click it. Export your barcode values as images by clicking on the appropriate button in the “Import / Export” tab. The images will be sent as a ZIP file to the email address you signed up with. Once you’ve received our email, download the attached ZIP file and extract the barcode images. 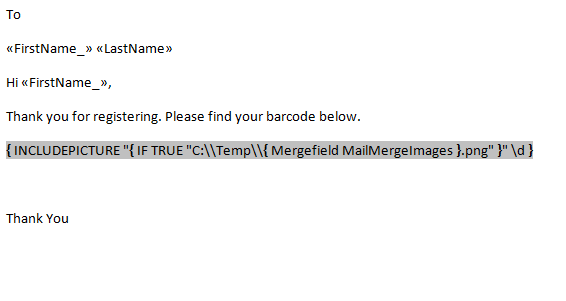 We’re going to need to specify the folder location of these barcodes in MS Office, so we’ll keep the path simple: create a folder entitled “Temp” on your C: drive, if it doesn’t already exist. Copy the extracted barcode images to that folder. Open Microsoft Excel and create a new spreadsheet. In Row 1, write all the variables you’d like to dynamically insert into your email. One row needs to include the filename of each barcode image. 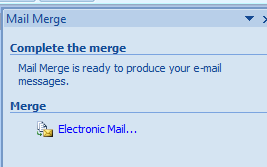 In this example, we had exported a database with five values “mailmerge1, mailmerge2, mailmerge3, mailmerge4, mailmerge5”. These values are listed in column C, which we labeled as “MailMergeImages” in Row 1. Save the spreadsheet. 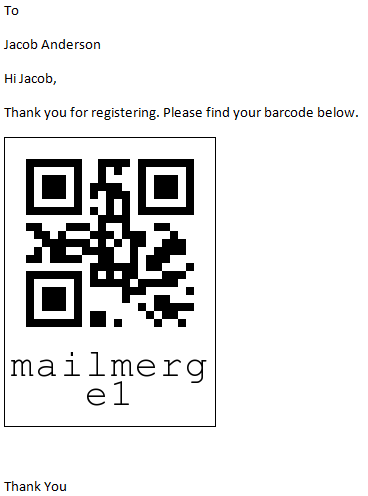 Now it’s time to execute the QR code mail merge. Open Microsoft Word and create a new document. 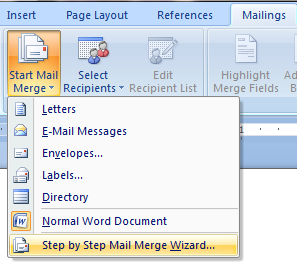 Click the “Mailings” tab, then “Start Mail Merge –> Step by Step Mail Merge Wizard”. 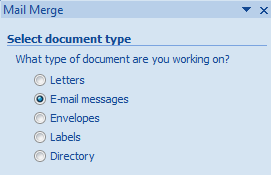 Under “Select document type”, select “E-mail messages”. Feel free to select any one of the options in the next step. Now it’s time to choose your recipients. 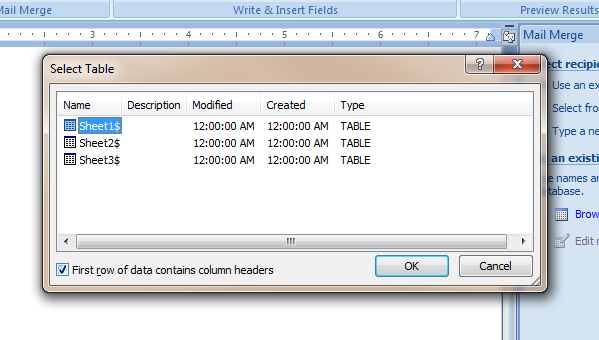 Under “Use an existing list”, click “Browse…” and select the Excel spreadsheet you just created. You’ll need to specify the rows you want to include in this email’s recipient list. The next step is to write your email message. 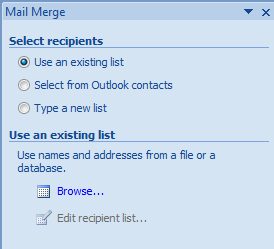 You can dynamically insert variables you created in the Excel sheet by selecting a database column from “Insert Merge Field” in the Mailings tab. In our example Excel spreadsheet, we included the first name and last name of our recipients in columns titled FirstName and LastName. Select these from the menu and you’ll see <> or <> display in the email. These will display as the recipient’s actual name when the email is sent. To insert your barcode image, follow the steps below. Step 5: In the final step finish the statement as shown below. Important Note: All the pairs of flower braces in the above statement should be opened by pressing ctrl+F9. Notice that this text includes the folder in which our barcodes are stored (C:Temp), the column label in which our barcode images were entered (MailMergeImages), and the file extension of our exported barcode images (PNG). If any of these variables are different in your mail merge, you need to change the expression accordingly. Once you’re done writing your email message, you can advance to the next step and preview your barcode image embedded within the email. 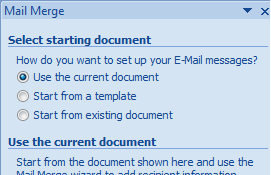 Advance to the next step and click “Electronic Mail…” to send your message to the specified recipients. A dialog box will appear. 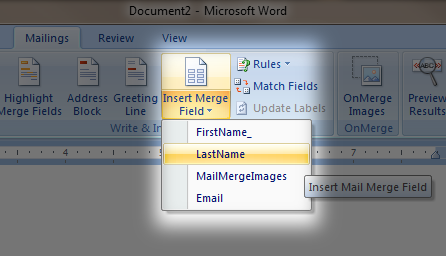 The “To:” field should be the column should be the column name of the email addresses you entered in the Excel spreadsheet. Your email has been sent! Enjoy the benefits of paperless barcode delivery with a flawless QR code mail merge.